Romantic Winter Getaways in Ohio - Ohio. Find It Here. Winter in Ohio is one of the best times to pack your bags, grab your sweetheart and hit the road for a romantic getaway. 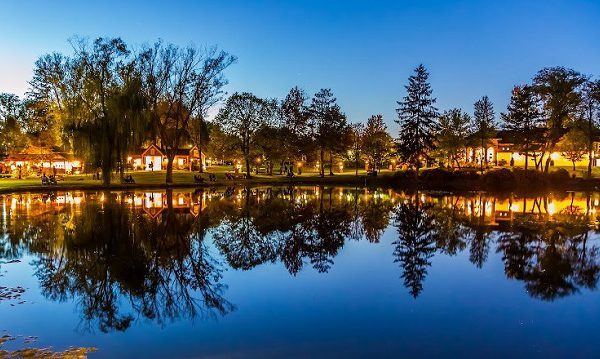 No matter what sparks your interest, a romantic winter getaway awaits in Ohio. Don’t you wish every dinner could start with an aromatherapy jacuzzi bath; accented by a warm fireplace in a cozy cottage? The Inn at Cedar Falls sets the stage for a relaxing weekend, secluded in the still woods of southern Ohio. Visit Ash Cave and Old Man’s Cave where in the winter, waterfalls dazzle with breathtaking frozen landscapes. Retreat to the lodge for a seasonally selected menu at the Kindred Spirits Restaurant or sip their delicately crafted cocktails. 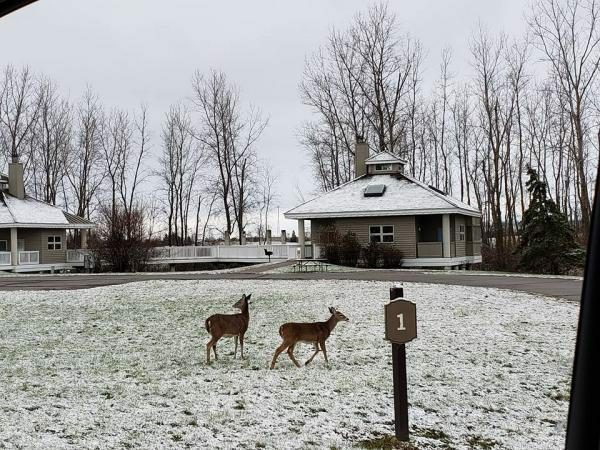 While Maumee Bay State Park Lodge is a great family getaway, it’s also a hidden gem for couples. 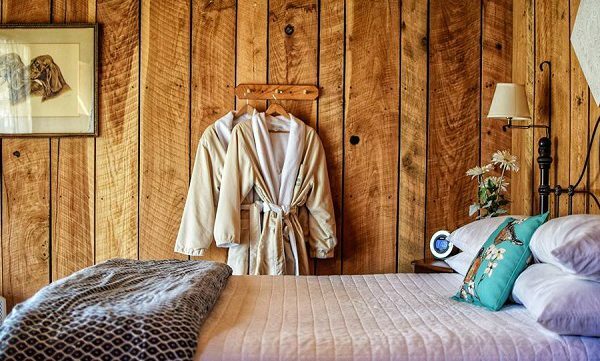 Each room has a private balcony and the lodge features three large fireplaces, perfect for cozying up next to your sweetheart during the cold winter months. If you’re looking for even more privacy, there are 24 furnished cottages available, four of which feature large hot tubs. The property features a 2-mile boardwalk and several hiking trails. Try the “wine trail” featuring local wineries where you can attend tastings or an evening show. When the snow falls, you’ll see a new side of the park by hopping on the three-mile skiing trail. If you don’t have your own equipment, you can rent from the front desk. Named Best Wine Country Hotel by USA Today two years running, The Villas at Gervasi Vineyard are known for their prestige. Cuddle up in state-of-the-art villas with fireplaces, heated floors and Tuscan-inspired décor. Complimentary continental breakfast is included with stay, and share a candle-lit dinner at The Bistro, complete with gourmet Italian dishes and specially paired Gervasi wines. While in the area, check out Pro Football Hall of Fame or the Canton Museum of Art. 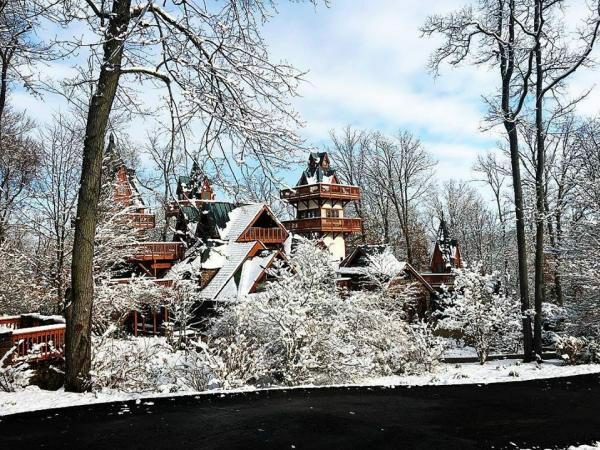 The realization of Jim Landoll’s dream castle, Landoll’s Mohican Castle sits on 30 acres and offers breathtaking sights, unique lodging and fine dining. Unwind from the busyness of everyday life and reconnect by booking a spa appointment. Continue to relax and enjoy each other’s company at the indoor pool, hot tub, and sauna. Experience the magic of Mohican country at nearby Mohican State Park, one of Ohio’s most exquisite natural regions. Take in the cool, crisp winter air at the crystalline Clear Fork River and hike or meander through the hemlock forest and Clear Fork Gorge – even more breathtaking with a dusting of snow. 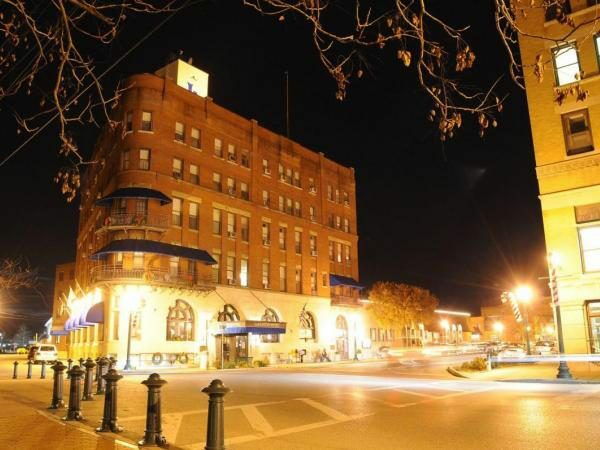 Located along the Ohio River, the historic Lafayette Hotel, built in 1918, will wow guests with unique architecture and cozy decor. Enjoy the nostalgia, as you sink away to another time in themed rooms with Victorian and riverboat décor. Locally, you can explore the old riverboat town of Marietta and take a ride on the Valley Gem Sternwheeler. Local restaurants, trolley tours and the Fenton Glass Factory are also enjoyable activities in the area. Find more romance this season on Ohio.org.